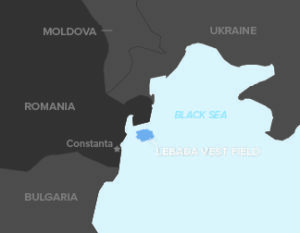 An operator working in offshore Romania required a completion system where stages in the wellbore could be left closed and then opened at a future date for stimulation and production. Packers Plus created a unique StackFRAC® HD system that combined ball-activated FracPORT™ sleeves with FracPORT sleeves that operated with a FracPORT shifting tool. count while having an upper restriction for the maximum allowable ball size. The size of the lower completion was 7 x 4.5-in., whereas the upper completion was 7 x 3.5-in. with a specific size seat profile. The operator decided to run a 12-stage StackFRAC HD system into the well. 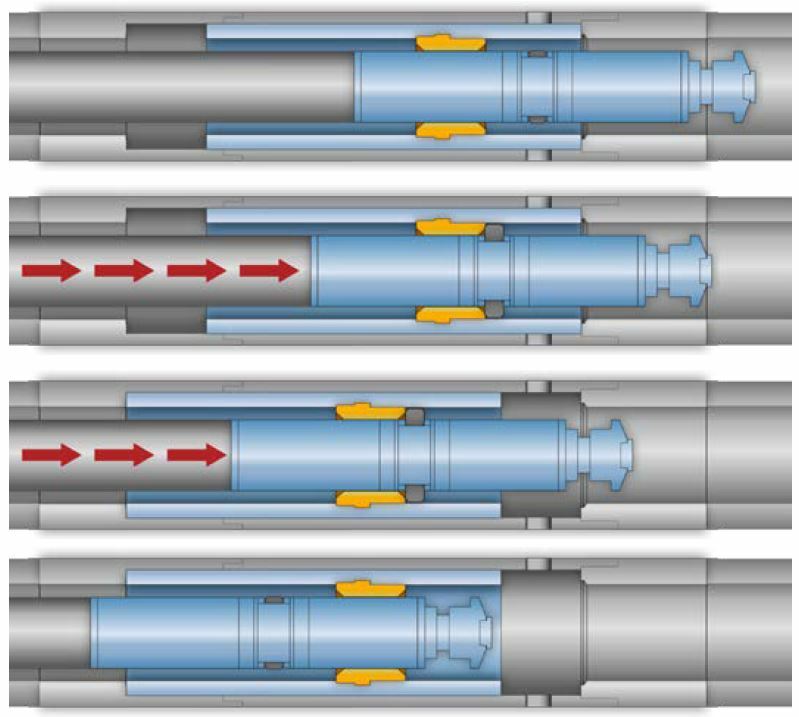 The first five stages included ball-activated Drillable Closeable (DC) FracPORT sleeves and one DC Hydraulic FracPORT sleeve. The next seven stages used DC FracPORT sleeves with the same seat size, that were designed to be opened and closed using a specially designed FracPORT shifting tool. 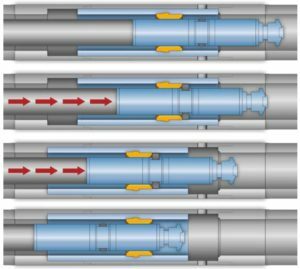 The shifting tool was run down with coiled tubing, and fluid pumped from surface activated high expansion keys that enabled each DC FracPORT sleeve to be shifted. Shutting off flow retracted the keys enabling the shifting tool to be moved to the next stage. being to re-open the sleeve for production. Weight and pressure indications on surface provided verification of sleeves being successfully shifted open and closed. FracPORT shifting tool being used to locate and shift open a DC FracPORT sleeve. After sleeve opening, stopping fluid flow retracts the keys, enabling the shifting tool to be pulled past the seat. Packers Plus specializes in providing solutions for multi-stage completions and technically challenging applications in horizontal, vertical, multi-lateral and high pressure/high temperature wells. Well solutions are customized based on operator requirements and adapted based on changing industry demand.